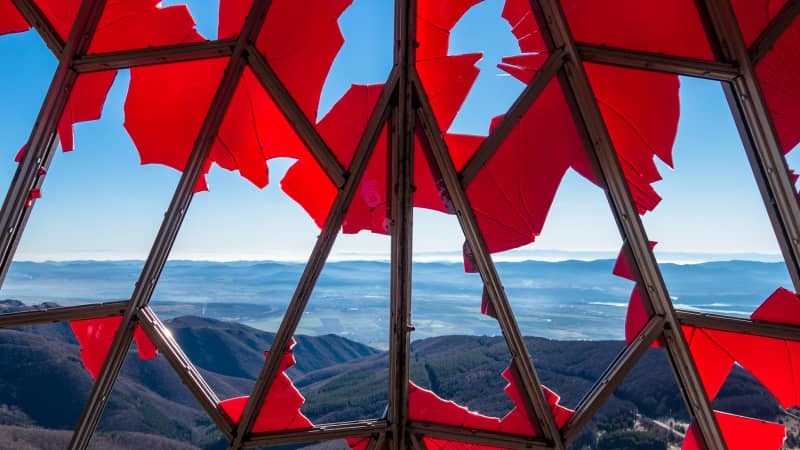 Officially named the House-Monument of the Bulgarian Communist Party, but better known as the “Buzludzha Monument,” it’s been attracting urban explorers from around the world since the mid-1990s. 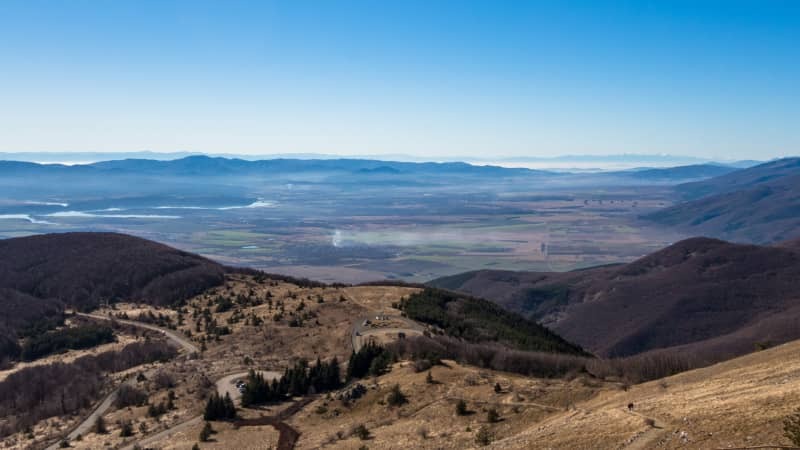 A journey to the Buzludzha Monument passes through picturesque farmlands and bucolic villages. 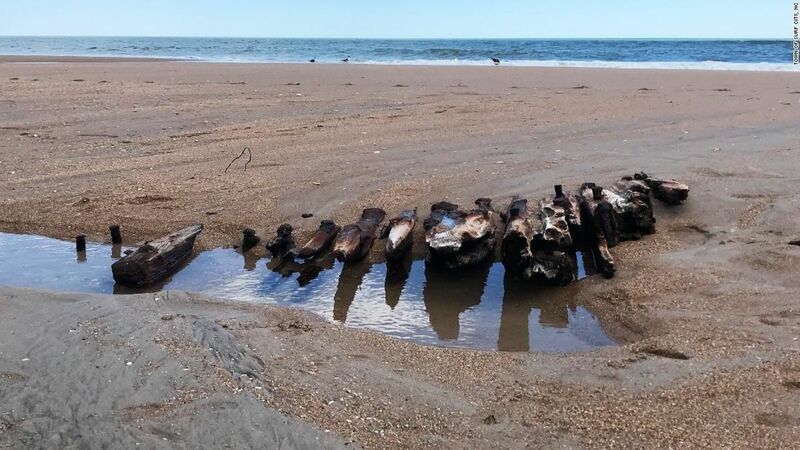 With no public transport connecting this part of Bulgaria, a visitor’s only option is to make their own way there. The Buzludzha Monument wasn’t placed at random. Its location in the middle of the Shipka Pass witnessed a series of famous battles between Bulgarian rebels and the Ottoman Empire in 1868. Years later during the Russo-Turkish War from 1877-78 a small army finally overthrew the Ottomans on Mount Buzludzha, leading to Bulgaria’s independence. Later, on August 2, 1891, a group of men met on the peak to create the Bulgarian Social Democratic Workers’ Party, which later became the Bulgarian Communist Party. The historical significance of the site led the government to approve a large memorial to celebrate Bulgaria’s communist progression. In 1981, after nearly eight years of construction, the Buzludzha Monument was unveiled. Graffiti covers the exterior, with slogans like “never forget your past” and “enjoy communism” painted by the entrance, which has been bolted shut for years. 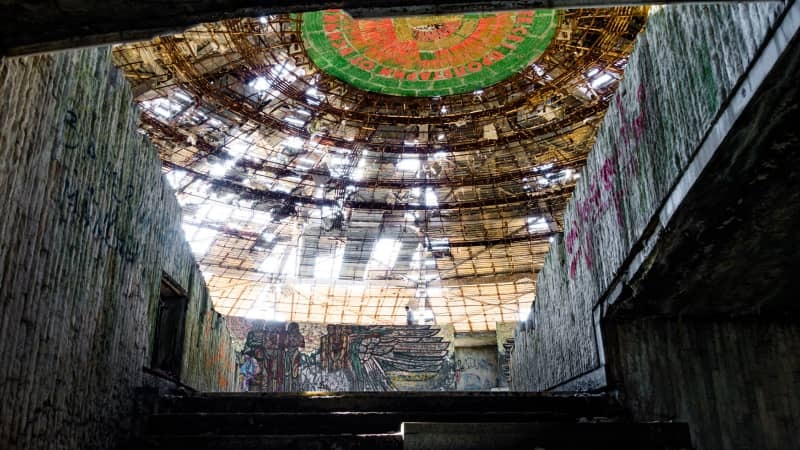 Here, at their own risk, it’s possible for intruders to climb cautiously over a precarious drop and get access to the inside of the Buzludzha Monument. Armed with a torch and navigating by blind groping, it’s possible to scramble up the rusted ladders into the depths of the tower. Level after level passes by before the ladders make way for steep iron stairs. The vistas over the Balkan Mountains are sensational and, for those without a fear of heights, climbing the aged and fragile scaffolding and onto the edge of the tower’s wall is an exhilarating experience. For now the monument remains on top of Mount Buzludzha, wasting away as a dying relic to the Balkan’s tragic communist past. 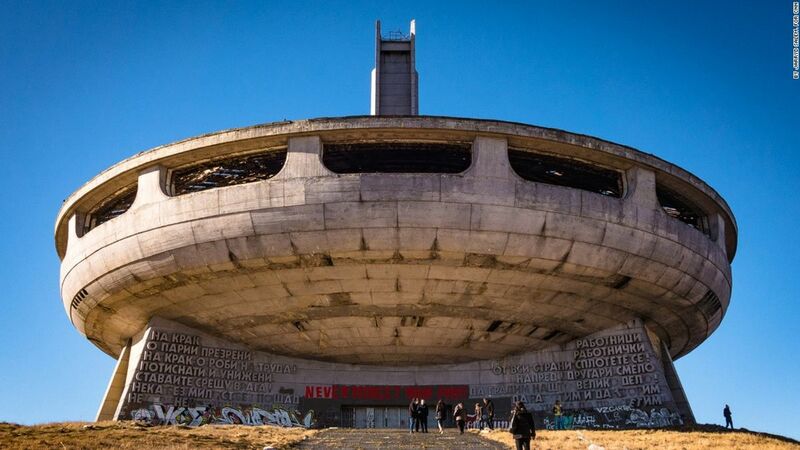 Whether it’s restored or left to decay the intrigue of Bulgaria’s UFO will continue to attract urban explorers for many years to come.